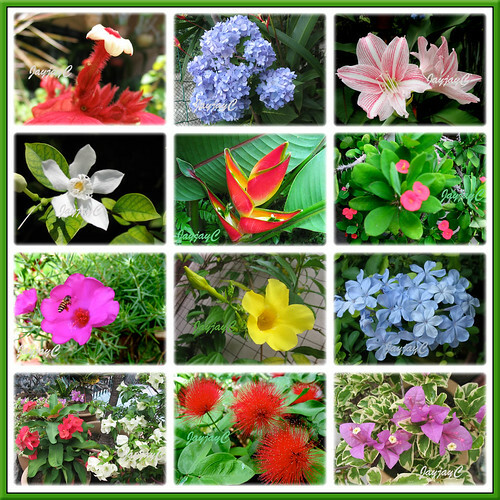 Sharing a colorful photomontage of beautiful bloomers in our garden in December 2008. A harmonious and happy crowd that flowers throughout the year in our tropical country, Malaysia! How rewarding to grow these flowering plants (mostly perennials) that never fail to add color and brightness to our front yard!